In what could be a pivotal error in the war against the Islamist terrorist group, the Iraqi military accidentally provided Islamic State jihadists with food, water, and ammunition meant to have been air-dropped to needy Iraqi soldiers on the front lines of conflict. Some pilots, instead of dropping these supplies over the area of the Iraqi army, threw it over the area that is controlled by ISIS fighters. 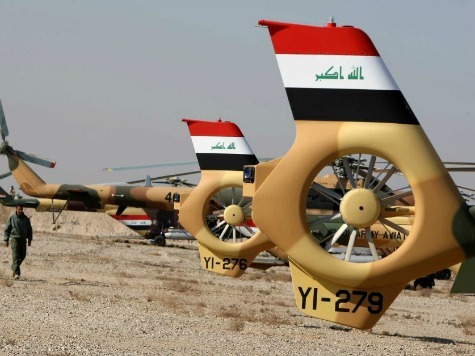 … Those soldiers were in deadly need of these supplies, but because of the wrong plans of the commanders in the Iraqi army and lack of experience of the pilots, we in a way or another helped ISIS fighters to kill our soldiers. The Iraqi army has been significantly diminished by the rising power of the Islamic State’s jihadist forces. By June, Kurdish Peshmerga soldiers were warning that the Islamic State’s forces were significantly more powerful than the official Iraqi army, following both an influx of recruits to jihad and multiple mass killings of Iraqi soldiers at military camps. Then, too, the Iraqi military ran out of ammunition during a key battle, allowing larger areas of northern Iraq to fall under Islamic State control. While the summer witnessed the most dramatic rise of the Islamic State in their fight against the Iraqi military, the mass killings have persisted. This week, Islamic State jihadists took over an army base near Baghdad–eking dangerously close to the nation’s capital–and killed nearly 300 soldiers en masse. Speaking to CBS’ 60 Minutes last Sunday, President Obama admitted that he believed that U.S. intelligence officials had not only underestimated the abilities of the Islamic State terror group, but that American officials had overestimated the ability of the Iraqi military to protect their homeland.